While big corporations shell out millions of dollars for TV commercials to air during the Super Bowl each year (30-second spots are selling for as much as $4 million this time), over the last few years some of the funniest and most talked about commercials have been created by individuals who've competed in the annual contest put on by Doritos. (Remember last year's winner "Man's Best Friend.") The tortilla chip-maker once again gave fans the opportunity to create a funny, 30-second commercial for a chance for it to air on CBS during the Super Bowl on February 3, and a shot at the $1 million grand prize. It's down to five finalists in the Doritos Crash the Super Bowl contest and one of the creators is Charlotte native Mark Freiburger. Mark, a filmmaker who now resides in the Los Angeles area, created a commercial titled "Fashionista Daddy." In it, a father is walking out of the house to go play football with his buddies, but he's stopped by his daughter who asks him to play princess dress-up with her. She tempts him with a bag of Doritos, and the comical actions ensue. 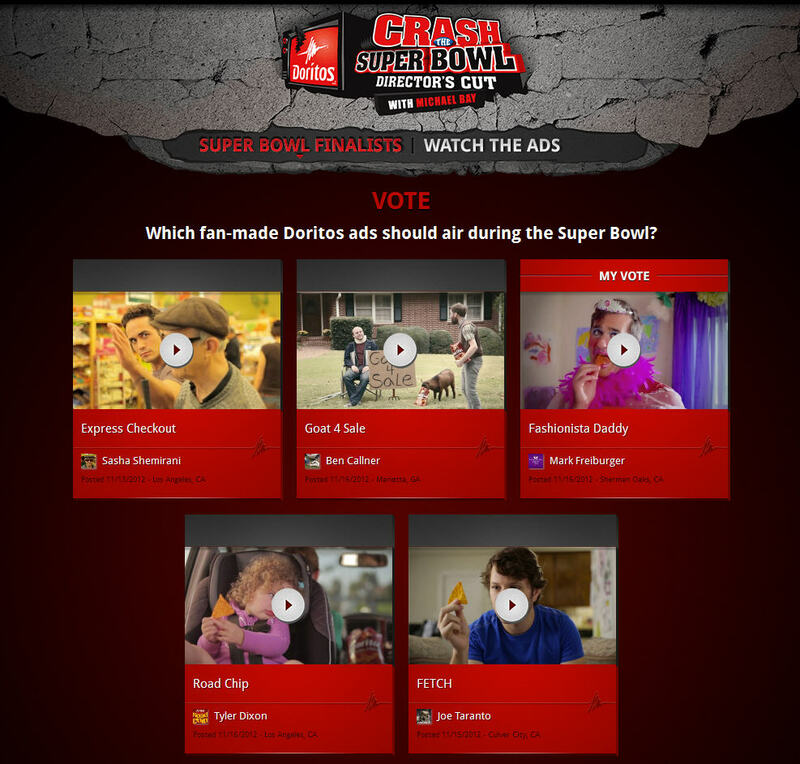 You can vote for "Fashionista Daddy" or any of the five finalists twice per day (once on your computer and once on your mobile device/tablet) until January 28, and watch each of the videos by visiting www.crashthesuperbowl.com. Thanks so much for giving us some love on the commercial!